There are innumerable types of folk dances in the heartland of Himachal Pradesh. Among all, Nati is the most popular which is qualified to be called as the Folk Dance of the State. 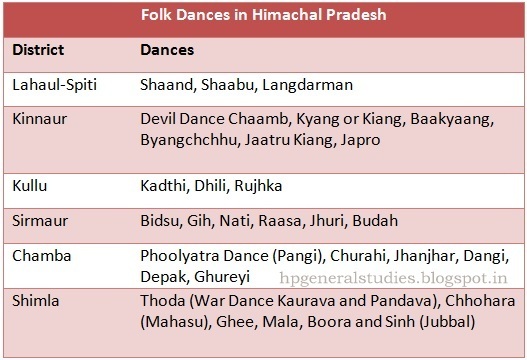 Kiang, Baakyaang, Jhanjhar are some other famous folk dances of Himachal Pradesh. We have compiled a list of folk dances district wise. You can help us enlarging the same list given below. Your suggestions are welcome in the comment box.